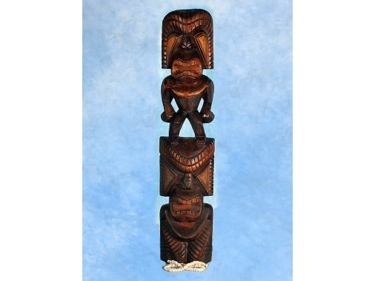 Here is a hand carved Tiki totem measuring 39 inches the two deities are Ku and Kane. The back of the totem is flat so that it can lean against the wall or mounted. 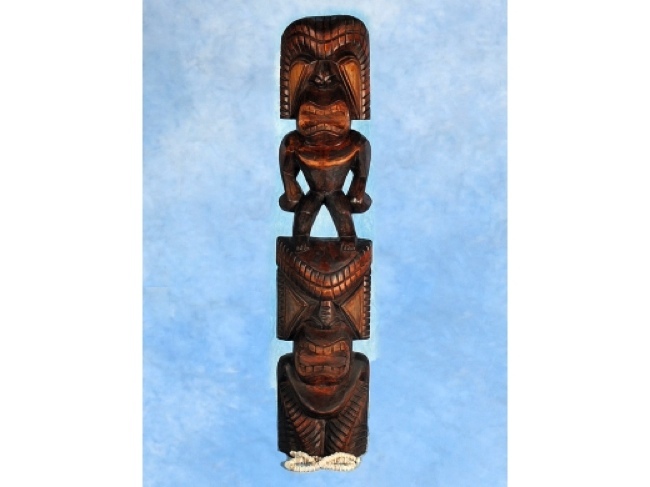 Great addition for your Tiki collection!.